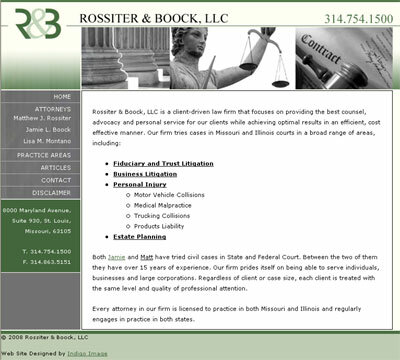 Launched today is a new web site for Rossiter & Boock, a St Louis law firm. The site is very clean and easy on the eye with a simple but effective navigation and focus on content. ← The day in a life of a web designer.